Save for the occasional bag of peanut M&Ms, I avoid eating at airports and on airplanes. And it’s not only because the food generally makes me feel like the before picture in an ad for heartburn and the price gouging is as absurd as the size of a large popcorn and Coke at the cinema. No. I avoid eating in transit mainly because I prefer to arrive in a new city with an appetite. Isn’t eating local — and no, I’m not on a farm-to-table motif here — the best part of exploring a new locale? Here, part two of our series highlighting seven hyperlocal sandwiches to sample across the Stash network. If you missed the first installment of Eat Like a Local, check it out, we covered Louisiana and Kentucky staples, The Po’ Boy and The Hot Brown, and an Iowan classic, The Pork Tenderloin. You can find a good-to-great lobster roll at any point along the New England coast, including (cough, cough) Logan Airport, but I’m biased toward Kennebunkport. From New Hampshire, my dad would take me to The Clam Shack as a kid. 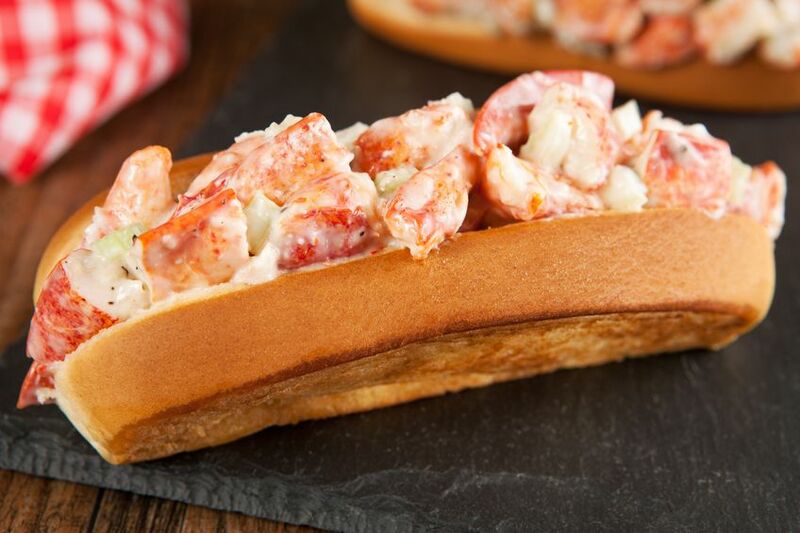 And while they don’t serve up the Platonic ideal of a lobster roll — no hot dog buns — they do offer a five-star take on the simple sandwich. Each roll combines ocean-water-steamed and hand-picked claw, tail, and knuckle meat (too much claw would be too mushy; too much tail, too chewy), heaped on a non-traditional white roll, which has been griddled with locally churned butter and slathered with mayo. All placed neatly in a red gingham paper boat, the Lobster Roll is a glorious combination of high-class fare in down-home packaging. Kennebunkport Inn: A quick two minute walk over the bridge. Cape Arundal Inn and Resort: A seven minute drive in from the coast, along the Kennebunk River. Hidden Pond: A ten minute woodsy drive south into town. 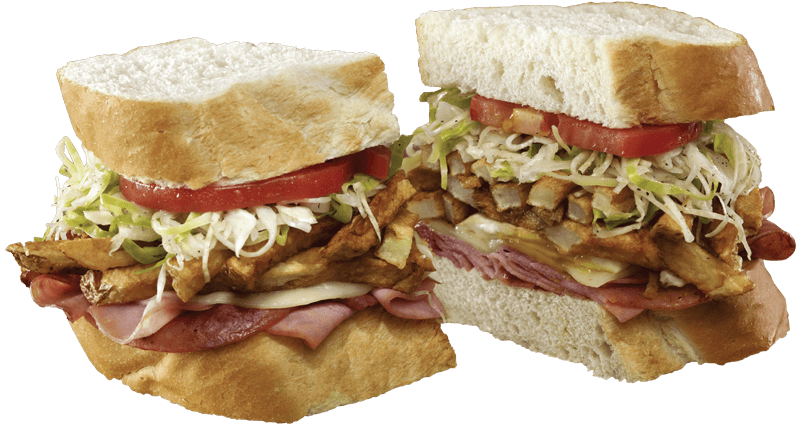 Primanti Bros. sandwiches stand with the contrapposto of a renaissance sculpture, which is not to say they are in any way slender, but rather that their height and heft give them a natural lean akin to the Tower of Pisa. Imagine a sandwich — two thick slices of Italian bread, a few ounces of meat, and a slice or two of cheese — then add a fist full of french fries, a fried egg, a slice of tomato for color, and a load of coleslaw. Buon appetito! Shady Side Inn All Suites: A quick fifteen minute drive to the flagship location in the landmark Strip District neighborhood. The Priory Hotel: A ten minute drive over the bridge to the flagship. 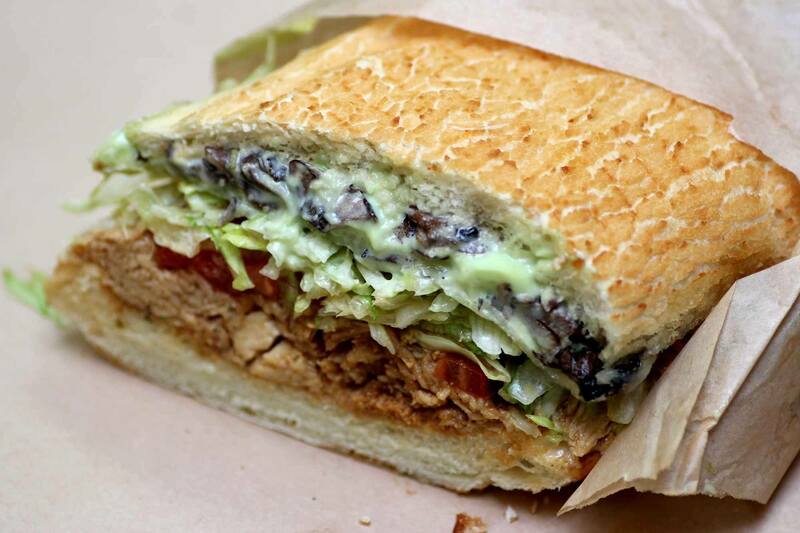 Dutch Crunch: What we talk about when we talk about sandwiches in the Bay Area. For natives, this sweet, crisp length of giraffe-looking bread — the top crust gets its roof-of-the-mouth-scuffing texture (and sweetness, for that matter) from a brushed on slurry of rice flour, sesame oil, sugar, and yeast — is as ingrained in their lives as earthquake protocol and rooting for the Giants or A’s. For outsiders, it’s an unknown treat. From over the top (Lex Luthor: American cheese, chicken fried steak, french dressing, fried chicken, mozzarella sticks, steak) to classic (Barry B: Swiss cheese, bacon, turkey), Ike’s Place crushes the Crunch game. South on Market Street from Hotel Abri, Hotel Griffon, King George Hotel, Serrano Hotel, and The Inn at Union Square Ike’s awaits. Among world-changing inventions — the wheel, the printing press, the internet — the Fluffernutter sandwich cannot be counted. Unless of course you’re a kid from New England and it’s lunchtime. The Boston-born sandwich combines a magical corn-based meringue-like mallow known as fluff with peanut butter and the cheapest white bread available. And this rib-sticking goodness isn’t only for kids and lunchtime. Classed-up versions regularly appear on dessert menus at some of the finest eateries in the Boston area. Or if you’re itching for the real thing, consult your concierge at The Hotel Veritas, The Lenox Hotel, and Beacon Hill Hotel and Bistro for directions to the nearest grocery store.